Join Belev Echad for the Most Elite Purim Ball of the year. 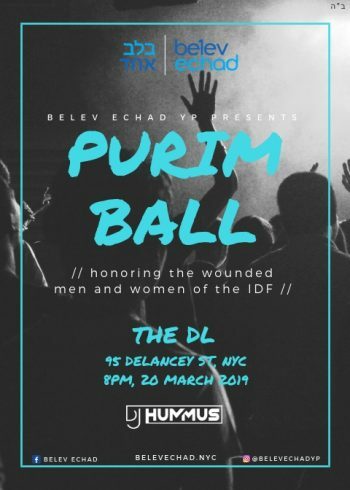 Bringing 12 wounded IDF Heroes together with the best Young Jewish Professionals in NYC for a night you will not forget. Premium 3 hour OPEN bar! Raffle Offering Grand Prizes! (Round trip ticket to Israel, 2 NY Knicks Tickets and much more)! 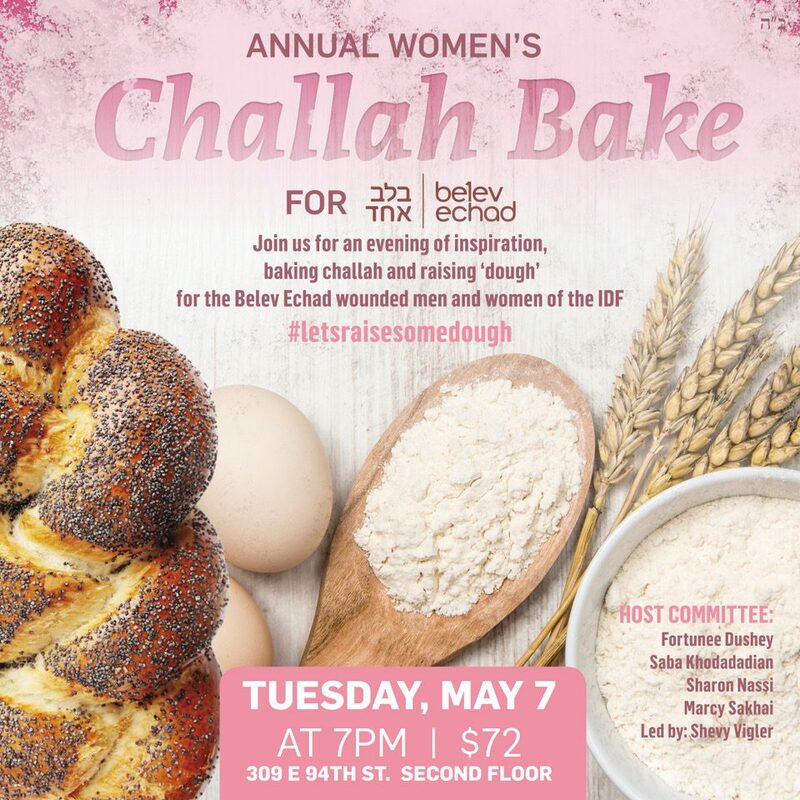 Belev Echad is a global movement dedicated to ensuring the wounded men and women of the Israeli Defense Forces receive the support they need to live productive and well-adjusted lives. With programs that include legal and medical advocacy, educational scholarships, social and recreational events, mentorships and career placement, we empower each soldier to thrive.